While Guardians of the Galaxy took home an impressive $11.2 million during its preview screenings, including tickets sold at IMAX theaters, becoming the biggest Thursday box office opener of this year, it didn't quite stretch to the top of the summer herd, falling to third place for best Friday opener of 2014. So far it has earned an estimated $37.8 million (which includes all those Thursday night ticket sales). It did have a big enough Friday opening to beat Marvel's first release of the year, Captain America: The Winter Soldier, both on Thursday and Friday. Back in April, the critically praised and fan beloved sequel to 2011's Captain America: The First Avenger pulled in $10.2 million on Thursday, exactly $1 million shy of Guardians of the Galaxy's take. 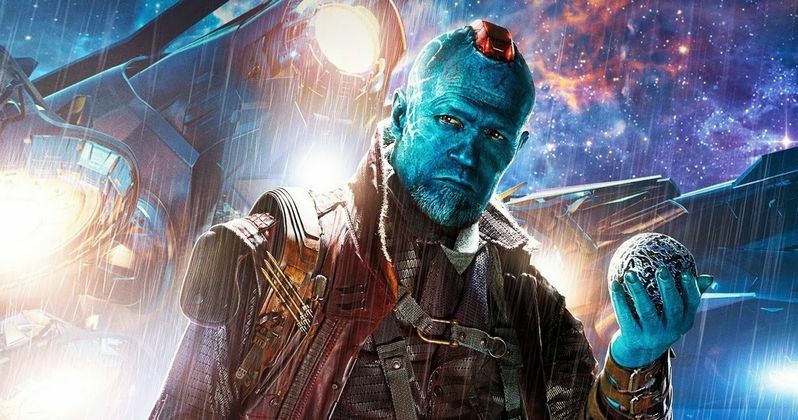 It went onto earn a total of $36.9 million on its opening day, falling just under $1 million of James Gunn's sci-fi epic. And it earned a total of $95 million during its first weekend of release. While Godzilla and Transformers: Age of Extinction didn't quite match Guardians of the Galaxy's Thursday opening, they did best the movie on opening day. Transformers 4, while it only pulled in $8.8 million during preview night, still holds the 2014 box office opening day record with an impressive $41.9 million. It is the only movie this summer to crack $100 million during its three-day weekend run. Godzilla slides into second place. It earned a surprising $9.3 million during its Thursday preview screenings, which was not expected. It went onto take in $93.2 million during the course of its first weekend. Guardians of the Galaxy currently has an A CinemaScore, and is at 92% fresh on the Tomatometer. Analysts believe it can reach at least $95 million, with a slim chance that it will be the second $100 million weekender of the summer. Many believe it will beat Captain America: The Winter Soldier's first three day weekend haul, and that movie is currently the year's top grosser at $258 million domestically. Anyway you paint it, this is astounding for a first-time, non-sequel, non-reboot movie. What effects Guardians of the Galaxy will have on upcoming movies and their box office potential is yet to be seen.